We're partnered with Crema to screen Design Disruptors! 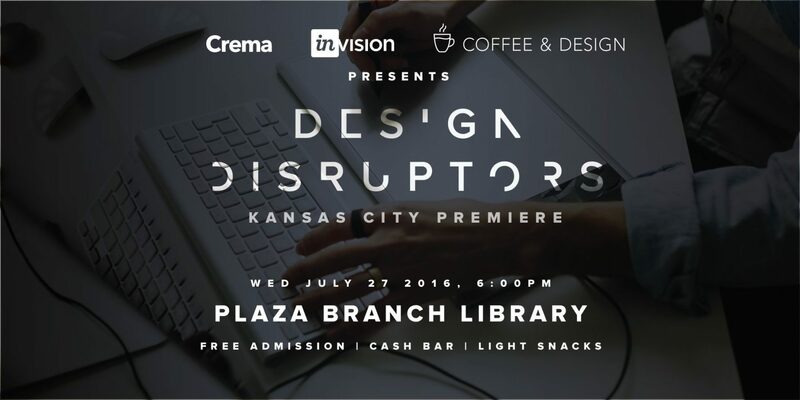 Crema and Coffee & Design are beyond thrilled to team up to bring you an exclusive pre-release screening of Invision’s Design Disruptors! This documentary reveals a never-before-seen perspective on 15+ industry-toppling companies using one unifying secret advantage: the transformative power of design. Join us for an evening of familiar faces to hang out with, and familiar faces of inspiration on screen. Doors will open at 6p where light snacks and a cash bar will be provided, and we’ll kick off at 6:30p! An enormous thank you to the Kansas City Public Library for hosting this event and help in making it awesome! PS: If this doesn’t jam with your schedule, join UXPA KC for a viewing!